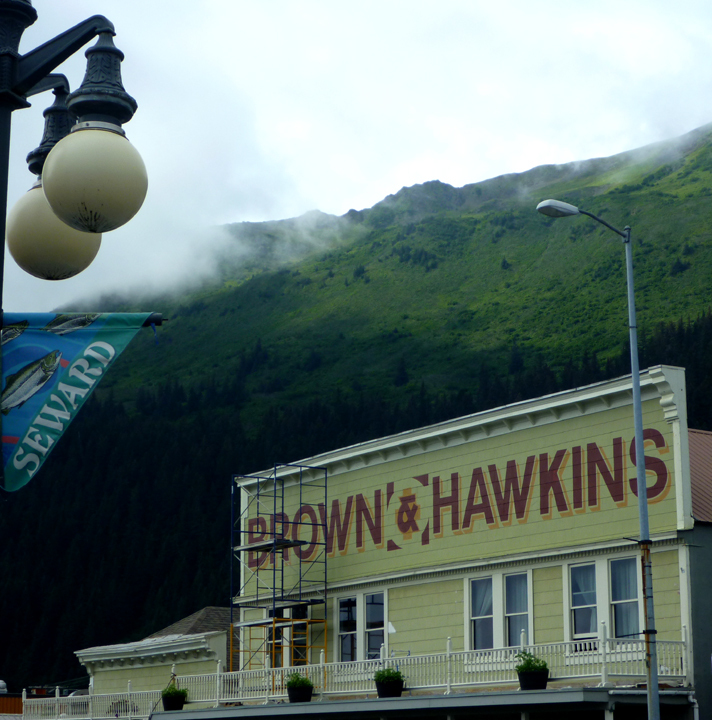 Seward, Alaska seems to still be looking for its identity, but we kind of like it that way. It’s not all polished and perfect, just friendly and approachable. 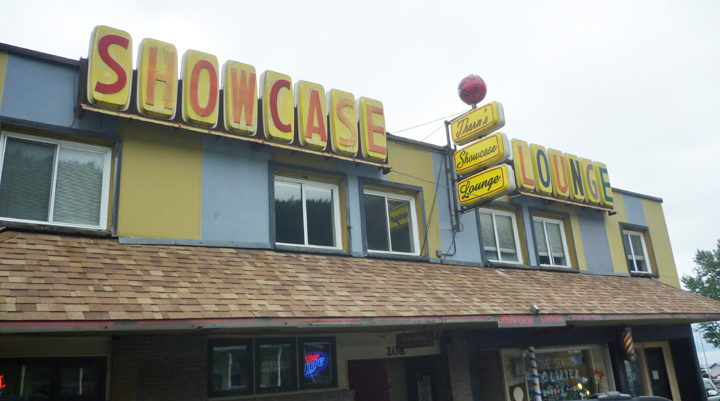 Like several other towns in Alaska, it was nearly completely destroyed by a triple whammy on Good Friday 1964 – earthquake (largest in US history), tsunami, and fire! but check out the view from our dining table! Or from just in front of our waterfront campsite. How’s that for a million-dollar view at just $15 a night?! Easy to see why we chose to stay for three days. We never tired of watching the various watercraft pass by. 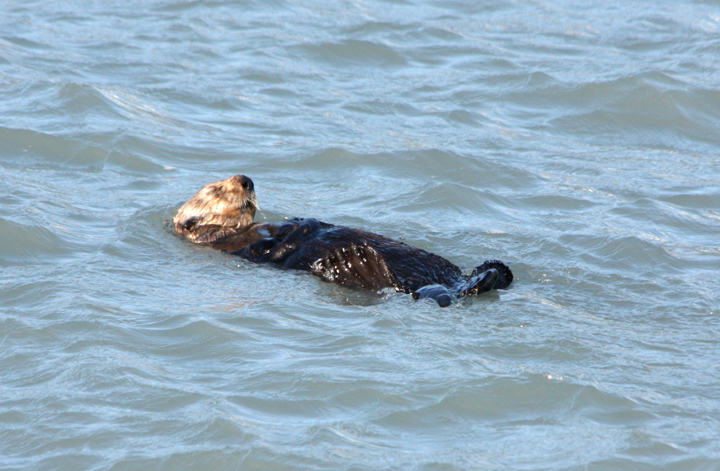 We especially enjoyed the playful antics of the resident otters. 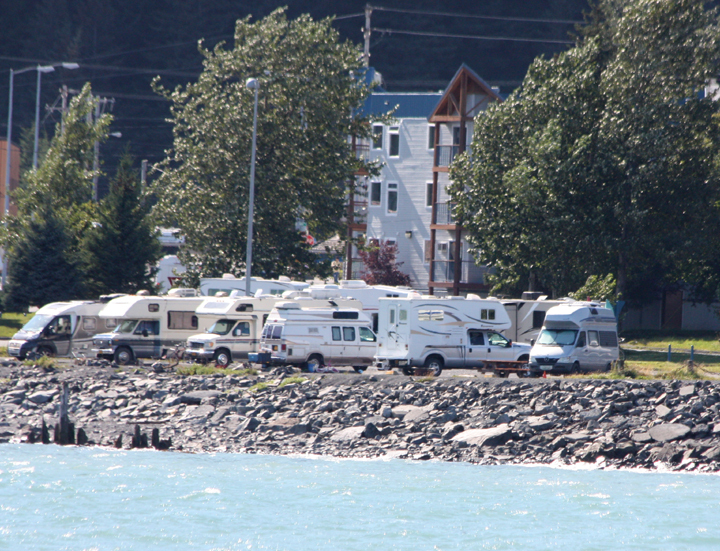 Seward is definitely the most RV friendly town we’ve ever visited. The entire waterfront is set aside for campers. See all the little white boxes in photo above. There are also a lot of beautiful hand painted murals around. 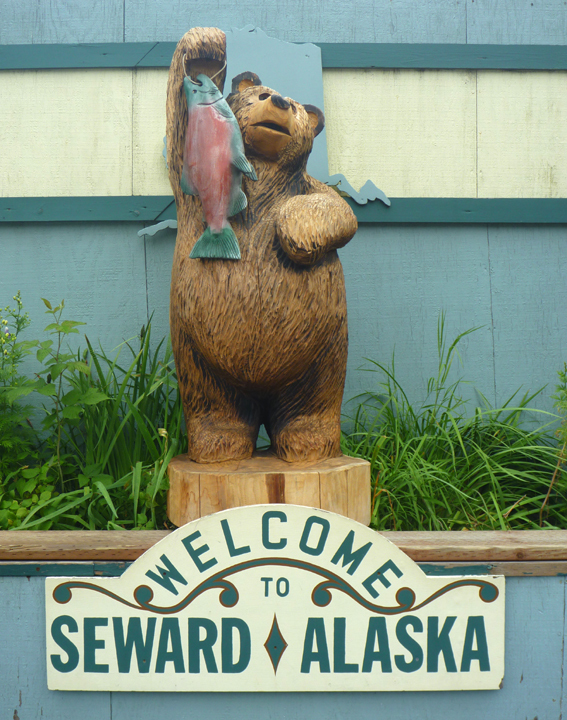 “Seward, pronounced “Soo-word,” is situated at the head of Resurrection Bay on the Kenai Peninsula. It is surrounded by majestic snow-capped mountains that are blanketed with lush green vegetation, trees and alpine wild flowers. 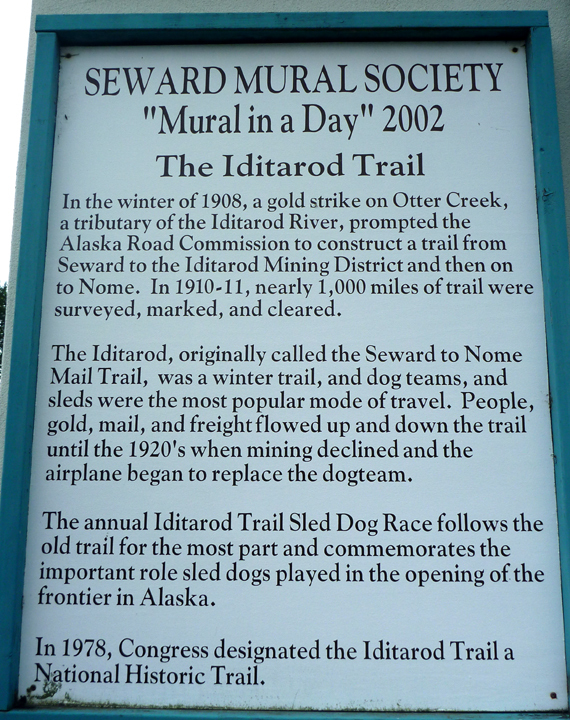 Seward is a progressive community that enjoys a beautiful and scenic natural Alaskan environment with numerous visitor attractions. 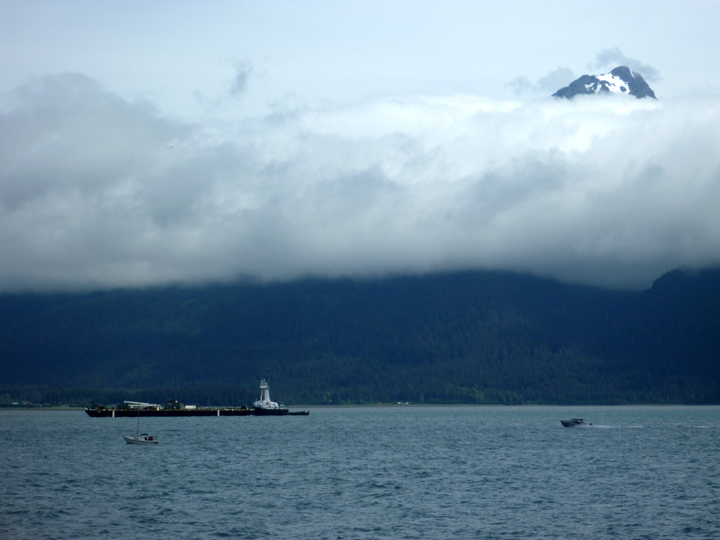 The town offers day cruises, kayaking, fishing, abundant marine activities and wildlife, unparalleled recreation and is the terminus for the Alaska Railroad.” – from town website. 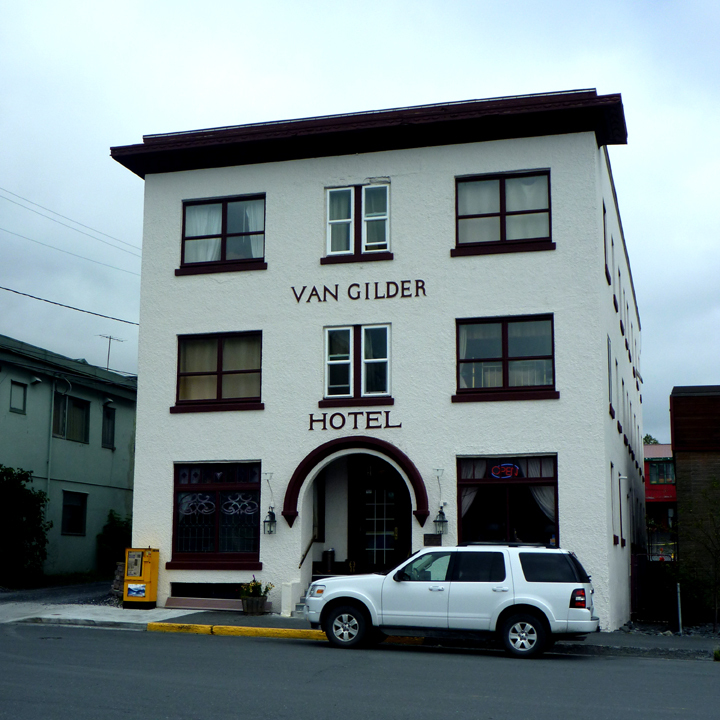 We had a very pleasant visit and recommend this friendly place to anyone planning a visit to Alaska. 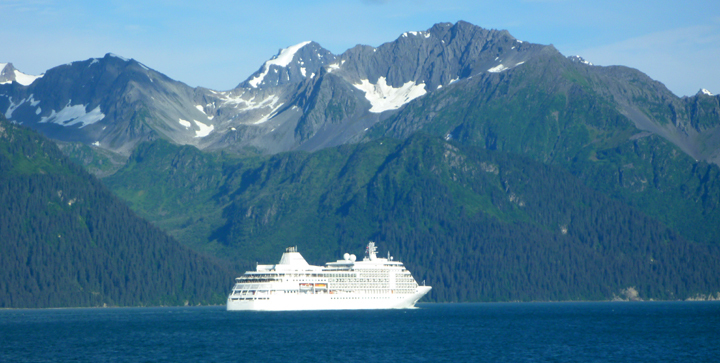 I must note, however, that we were extremely lucky with the weather, especially for our Kenai Fjords boat tour. Fog, clouds, and rain crept back in for our last evening. Time to move on!